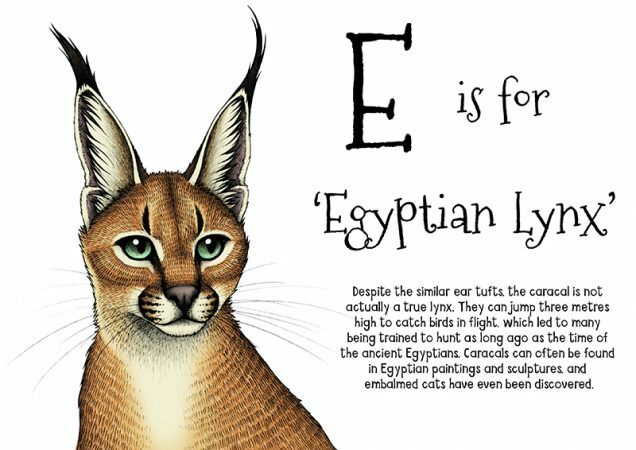 These are preview pages of the A-Z of Feliformia book which I am currently creating. 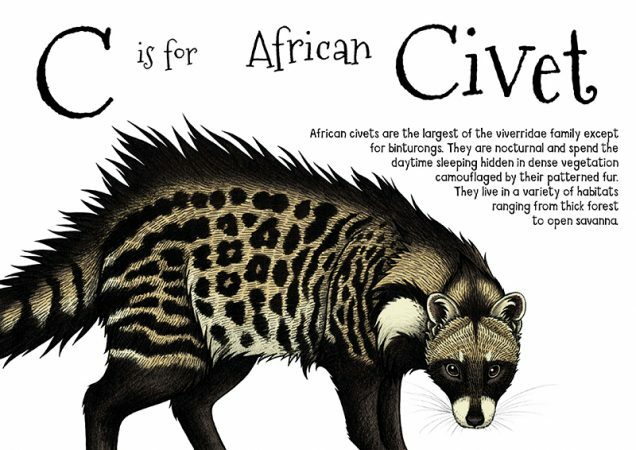 Feliformia are the ‘cat-like’ carnivores which include not just the true cats such as tigers and domestic cats but also civets, hyenas and mongooses. I aim to introduce people to animals they may not have heard of before whilst raising awareness of how endangered several of them are. 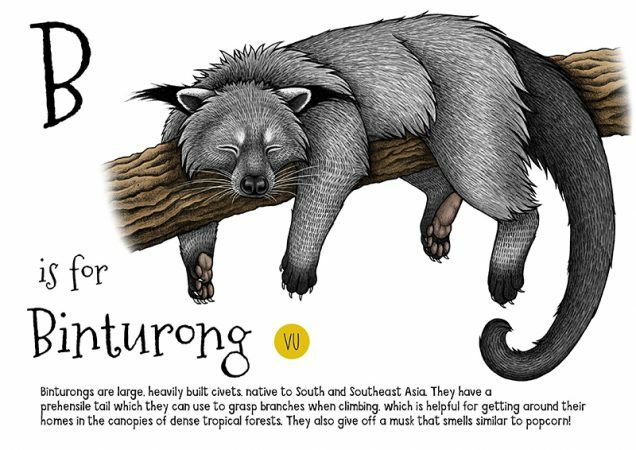 The ‘VU’ on the Binturong page stands for ‘Vulnerable’ which is its current IUCN conservation status.